Dermacool Menthol Aqueous Cream 5% 500g cools, calms and provides instant relief from a variety of skin conditions like dermatitis, eczema, insect bites, prickly heat, sunburn and hives. It is specially formulated for those with irritated skin and differs from other aqueous creams thanks to its 5% menthol content. This particular ingredient triggers the cold receptors in the skin in order to provide a cooling and soothing relief. 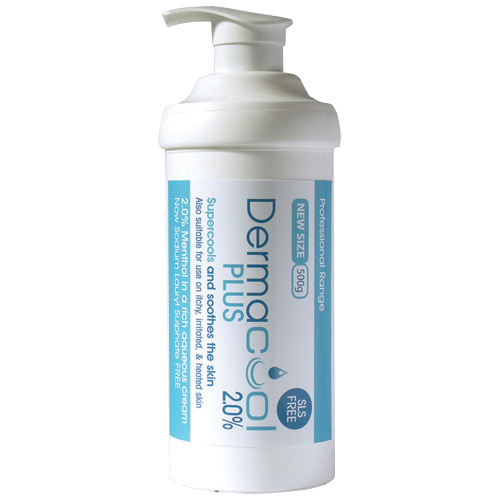 It also works to restore natural moisture levels in the skin to prevent it from becoming dehydrated and dry. Apply to clean dry skin daily or as often as required. 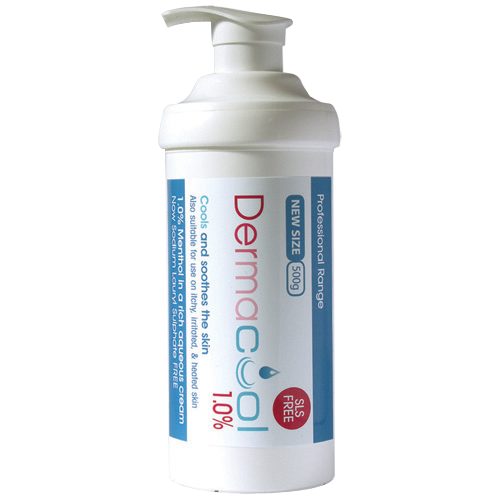 Aqua (Water), Petrolatum, Cetearyl Alcohol, Paraffinum Liquidum, Menthol, Phenoxyethanol, Sodium Lauryl Sulfate. Contains Sodium Lauryl Sulfate which may cause local skin reaction (e.g. stinging and contact dermatitis). In the unlikely event of rash or irritation, discontinue use. Do not use on children under 10 years of age. 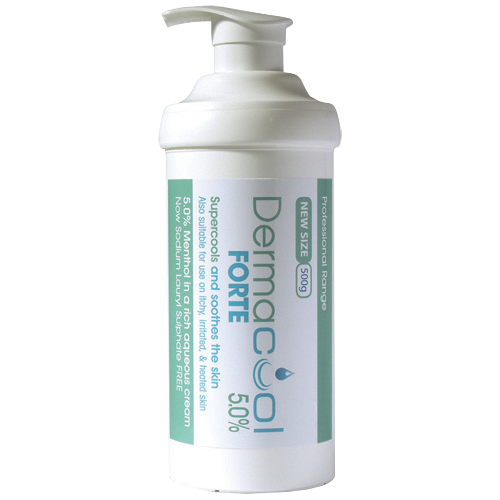 Dermacool Forte 5.0% can cause skin irritation if exposure is prolonged or repeated. Seek medical advice if the product is accidentally swallowed.